Now that Fall is in full swing, it’s a good time to start preparing for colder weather. Crossroads Trailer Sales carries a full line of Nexhaul Enclosed Cargo Trailers, that are design to keep all your equipment and cargo protected from the elements. Nexhaul Trailer Company is a well-known and trusted manufacturer of cargo trailers, enclosed trailers, equipment trailers, utility trailers and open trailers. Crossroads carries an extensive inventory of Nexhaul trailers, made from the highest quality materials. Currently, Crossroads has 2016 and 2017 models in stock, available in 6-foot, 7-foot, and 8.5-foot widths. The 2016 6′ models are available in either 10′ or 12′ length with a V-nose design that provides function and protection when the roads get rough. 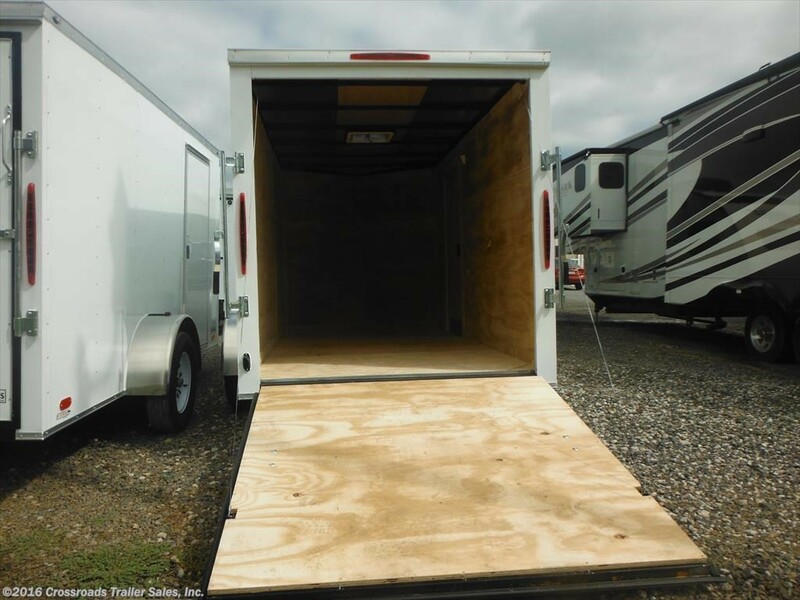 These light to mid-duty trailers are capable of traveling anywhere, while keeping your snowmobiles, camping equipment, and other cargo protected. We also have several models of 7′ and 8.5′ long trailers that are fully-equipped for easy-use and function. One of our largest models, the 2016 Nexhaul 8.5×20 TA, comes with a ramp rear opening and 24″ stoneguard for added protection. 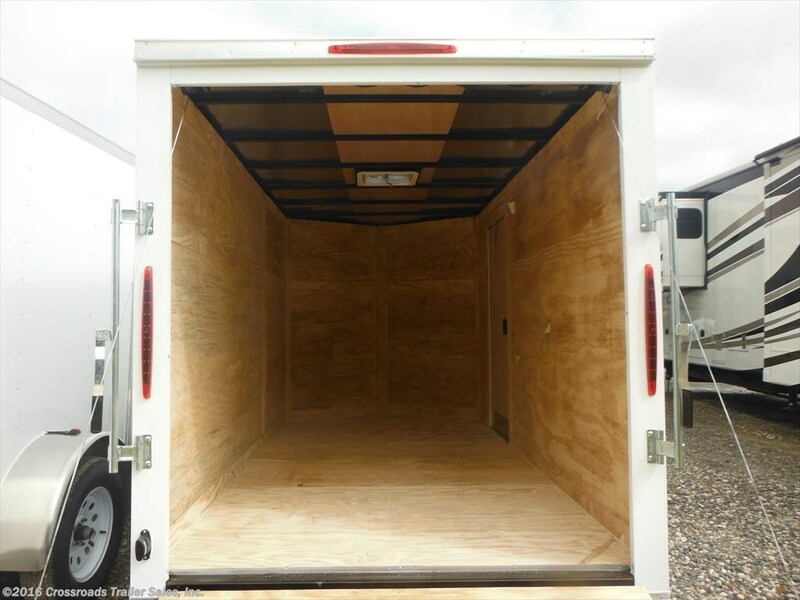 The 78″ interior height is perfect for extra large hauls, and trailer features include a ramp rear door, 36″ side door, LED exterior lighting, 12V dome light, and much more. Nexhaul has continued to improve their features and design with the new 2017 models. 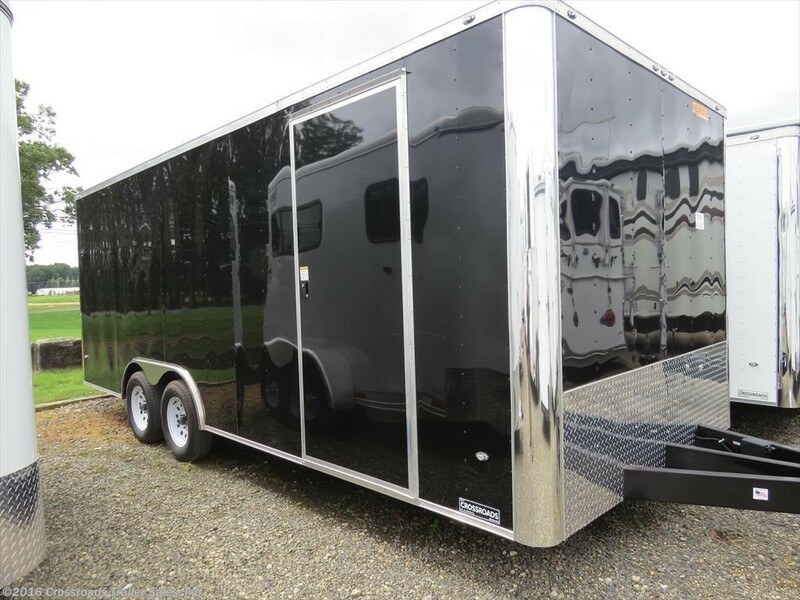 Crossroads carries enclosed cargo trailers in 7×16 or 6×12 models, all featuring a 24-inch stone guard for protection during transportation. The 6×12 SA V-nose also has a 12 volt dome light with switch and Dexter easy lube 3500lb axle. 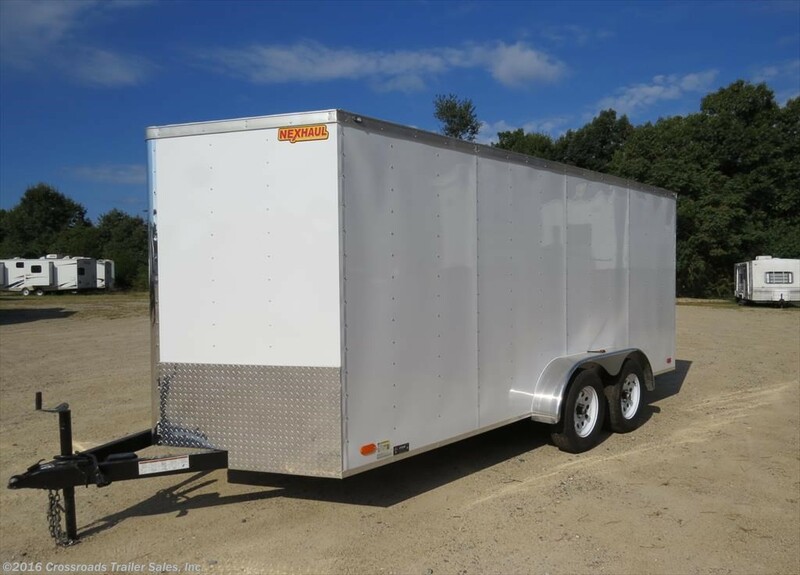 With a GVWR of 2,990 and one side door, this trailer is perfect for hauling your equipment in any type of weather. The 7×16 models are also fully-equipped, but have even more space to fit your needs. These trailers are built tough and have interior and exterior lighting, so you can work well into the evening if duty calls. The premium features of all our Nexhaul Trailers make them an easy choice for all your future hauls. Whether you’re looking for an aerodynamic and light trailer for frequent, mid-duty hauls, or a large and spacious model for the extra-heavy equipment, Crossroads carries a Nexhaul Trailer that is perfect for you. Visit Crossroads Trailer Sales in Newfield, NJ for all your RV and Trailer needs. This entry was posted in Featured Brand and tagged cargo, enclosed, nexhaul, trailer by admin. Bookmark the permalink.